Lucidity Festival is doing something no one has done yet. They are crafting a living story, an evolution, a Mythos, scripted by the people. It is a six year story – based on 3 years of growing the individual followed by three years of growing the community. All the workshops and offerings wrap around supporting this Mythos. And this year, a theatrical expression of this new mythology is being collaboratively crafted by “You” that follows a girl named Luci through this Dream. Meet Jonah Haas – co-founder and humbly a large part of the imagining that brought this to be. Our exclusive interview takes you into the dreamtime where Lucidity was conceived, gestated and given birth…to become one of the west coasts most loved and flocked to events. Jonah – The name Lucidity is about awake and aware consciousness. It’s about co-creation and collaboration, with awake and aware consciousness as the foundation. We came together as a community before we ever began dreaming about the festival…. It was early 2011, I was living in Santa Barbara and had gotten involved in a local arts collaborative called Fishbon. We organized a large art installation for Burning Man, called Walk About Woods, that brought a lot of people together. It took a year to build. We had a donated workshop space that became a community hub for creativity. And it was in that creative soup of building the art installation that the ideas of Lucidity started to be discussed. We went and successfully installed Walkabout Woods and then came back and a core group of us started making movement toward Lucidity. We did a whole process. There were about 15-20 people there, and popcorn style, we brainstormed all the values we wanted to co-create around. Then once they were all up on a board on sticky notes, we organized the sticky notes into piles and allowed seven core values to emerge. Those seven values are still the core values of everything that we do. FF – They are all self explanatory except Communal Reciprocity? Jonah – Communal Reciprocity is the idea of equal energetic exchange, the idea that everyone is receiving energy in relationship to the energy that they are giving. So that value informs our process around how to compensate people who are working heavily on the project. We have a collaborative ownership model that satisfies our communal reciprocity value. Reciprocity is a term that describes economies; giving and taking and exchange. We always seek, in the ideal world, to have balance in that reciprocity system. There are all sorts of different types of energies that fall into that equation…. After the Core Values, there’s a strong association with Lucid dreaming, and the concept of waking up within the dream. I’ve been a lucid dreamer my whole life so that’s a very dear concept to me. And Lucidity is a metaphor for being able to wake up in your waking life too. There are a lot of people who walk through this waking reality in a dream state. Lucidity provides a place and an opportunity where people can come and wake up. After we established the values we wanted to base this experience on, (co-creating together as a community), the next thing we brainstormed was “what do we want to see?” What are the tangibles, and how are we going to manifest that? One of the really cool concepts that emerged in those early brainstorms was the idea of villages. We started with 6 villages but now we have 7. Each village revolves around an archetypal theme. And the villages are camping villages so the entire campground is sectioned off into different spaces. Each village has a village center, with participant driven content. People sign up through our applications to bring theme camps and experiential offerings. We place them in the village centers, and then camping fills out the area around them. So the camping experience becomes an immersive and participatory experience. Just like when you walk through a dream and all of the characters that you come across represent some aspect of yourself, so can you walk through the festival and come across these different energies that are aspects of yourself. You can see that, reflected in the offerings and different types of people that you come across as you explore the festival grounds. FF – How does that translate within the villages? Jonah – Our Family Garden has kids activities, but is also a place for elders, and it’s a place where sustainability and permaculture workshops take place. There are workshop zones and play zones in the Family Garden. The Warriors Way is where martial arts and flow arts workshops reside, and Spin Cycle (Flow Arts collective) has been a major collaborator there in that space. The Nomads Nook hosts our third electronica stage. The Tricksters Playground is home to our live music stage. And the Healing Sanctuary has a healing tent that offers free healing and also has workshop zones for different healing modalities. The Lovers Nest offers workshops on compassionate communication, relationships, interconnecting and that sort of thing. And the Goddess Grove is a place for artful creation, and creation in general. Beyond those zones we also have our Lucid City, which is the main area of the festival where our primary electronic stage is, where our art gallery and food commissary are. This year we’re going to have an after hours, acoustic, coffee and tea lounge. That’s the layout of the festival grounds – seven camping villages and the Lucid City. This concept has been accepted and received very well, because it offers that Burning Man type total immersion quality. But instead of being in the desert, it’s among beautiful oak trees. The other unique thing that we’ve got going on, is that we’ve engaged in what I like to call Experimental Emergent Lived Mythology. We’ve crafted a six year story – so each festival year is another chapter in that six year story, or two trilogies. The story is one of personal and collective transformation. The first trilogy is all about personal transformation and the second trilogy is about collective transformation. We’re right now in our third year, so we are in the final year of our first trilogy of personal transformation. The six year story is something unique that I don’t see anywhere else in the festival landscape. I see other people doing different themes every year, but each of our different themes have already been laid out since the first year. They all tell the next piece of a larger story. FF – Where do the themes come from? Jonah – There was one brainstorming session in particular between myself and our art director Luke Holden, where it just came to us, and from that point on we knew we were on a six year trajectory, we knew what each year’s theme was going to be. All of this is on our website under the About Us section. (LucidityFestival.com). This is the framework. We have a whole department of collaborators that are storytellers and we’re working diligently on crafting a story that is more character driven than what you’ll see on the website. The website is the conceptual framework. Then, within that framework, we’re developing a character driven story that will probably communicate through a graphic novel that will come out in episodes. This story line will inform each and every persons experience on the festival grounds as they understand that they are a co-creator in the larger story that we’re weaving and creating together. They’ll be able to embrace themselves as the protagonist of that story. FF – Tell me a little bit about the story? Jonah – The first year was called Awake In Your Dreams. That was about personal awakening and lucid dreaming, it was the awakening of our festival. The next year was called the Totem’s Return, which was about a deeper personal exploration of self. In year two, we introduced a totem animal for each village. FF – So while people come into the festival, you are somehow running a conversation that this year we are looking into ourselves to discover who we are? Jonah – Absolutely. That messaging comes across through our social media, and in some of the smaller deliverables, like the “Mapdana” we created. The Mapdana is our festival map, but instead of printing it on throw away paper, we have a leave no trace ethic, so we printed our maps on a bandana, so that everybody could wear them evermore. The story chapter was printed on the Mapdana. There is a lot of messaging woven in various ways. And we’re looking into deepening that messaging with our new storytellers’ guild. The third year is about personal realization. So, this year is called Universe. Once you dive deep, deep, deep into self, you realize a oneness and unity with all that is, with all that exists in the Universe, which will be the culmination of the first trilogy. Next, the second trilogy is about collective transformation. In year four, we look at our collective past. Year five looks at our collective present and year six, the final year, we look at our collective future. Year four is called Kindred Quest, where we will be inviting wisdom keepers and elders of all different cultural traditions, to share their knowledge and wisdom of what it means to be in tribe, and what it means to be a family. Year five is about our collective present, called Crossroads. That’s where we take a hard look at “what is” right now on this planet, coming at it with pro-active solutions about how we can transform the way that we live. Year six will be called Eudaimonia, a greek term for human flourishing, meaning “having a good indwelling spirit”, and it signals a communal happiness rooted in the virtues of interconnected awakened individuals, it is the culmination of all we’ve been striving for. This is our collective future, which is yet to be told, and we have the opportunity through this six year story to be writing it. Year six is going to be really interesting, to see what shows up! Jonah – Yes, when people arrive at Lucidity they start to realize that there are all these rabbit holes they can go down, all kinds of experiences that are waiting for them. We’ve been receiving amazing feedback from people across the board, sharing the transformational experiences that they have had at Lucidity. So many people say, “This was my first transformational festival, my life will never be the same, I have a completely different perspective on what’s possible for my life and for humanity.” Its frickin’ awesome, we hear that type of thing all the time! Our intention of creating a space for people to engage in their own transformation is really coming to fruition. Jonah – Yes, for sure! We’ve been talking about the festival and the transformation that has been going on for people, both who have been participating and those who have been co-creating it, but we’ve also been watching how it has transformed our community. There is such an outpouring of energy from people who want to get involved, participate, and we’ve created a structure and model so that there are pathways to inclusion, pathways to participation. In our first year, it was just 5 of us, who brought in maybe another 10-15 people and we worked our asses off to make it happen. Now, we’re at a place where what we consider “core” is probably 20-25 people, and we have 14 different owners of the company. We’ve been giving away ownership units of the company slowly to the community, based on contribution. We’re not holding onto the equity of it, so that when it gets big we can all sell it and receive some kind of payout. We’re slowly distributing it in relationship to how people show up. We have a whole system for performance review by the group. In relationship to how you do on your review, you are able to vest ownership units. After a number of years of participation, and once you vest ownership units, it translates into ownership units of the company. Its providing both a platform for people to do what their purpose, their mission and their calling is, but also for people to get paid to do so in a contractor or employee capacity, as well as to develop equity in something that’s being co-created by the community. This unique model that we’ve created is one of the things that I’m most excited about. I geek out on Social Architecture and organizational structure. FF – That’s fantastic, certainly our planet, humanity needs it. Jonah – And its working. There’s a lot of fuel for Lucidity across our community right now, so we must be doing something right! FF – And you’re just going into your third show. That’s crazy how much you’ve done in two rounds. Jonah – We’ve been doing a lot of small things too. We did the October event, Rising Vibes; and the Lucidity Voyage At Sea. FF – Let me ask you this – drama is always such a huge piece of people collaborating – how are you working that out with your new approach? Jonah – Well, yes, we’ve noticed that dramatics do arise here and there, so we have been putting into place systems whereby, when static comes up between two collaborators, we make sure that they address it with a third party facilitator as soon as possible, to get to the heart of what that static is, to set the intention to clear it and then clear it. We recently had a retreat day at a community wide level that was devoted toward making space for these conversations to happen. We brought in a whole team of facilitators. We started with a group circle where we voiced things that people needed the group to hear, and then we identified all of the breakout conversations that had to happen. Then all of those breakout conversations happened with facilitators. We conceptualized it as “Re-Resonating” and bringing the collective field back together. It was amazingly successful. Then we followed up the next weekend with a gratitude celebration where we honored collaborators in the community who have been super supportive of us from the beginning. We created a goofy awards ceremony, we fed people. The whole day was based around giving and receiving gratitude. Really it feels like, if the foundation of your family is seated in the vibration of gratitude it mitigates a lot of the dramatics. And when those dramatics come up, if you have really good procedural ways of dealing with them through facilitated clearing sessions, then you can navigate them with grace. And we’ve been doing our best to do that. So far we’ve been successful but certainly those dramatics come up. It’s so important to navigate them properly. One or two big spinouts can spinout the whole thing if you’re not careful. FF –I think that’s one of the most important things that you’re doing, that makes it all possible. Jonah – That’s one of the connecting threads that ties mine and Jamaica’s work, the work that Tribal Convergence does, especially around councilship and right relations – that’s been a great influence and inspiration to Lucidity. We’ve brought a lot of those practices into our organization. A lot of the stuff that we did at Awaken The Future last year has had a profound impact on the way that we operate on an organizational level for Lucidity. FF – And you, you started on a path of Cultural Anthropology and have used that influence to create Lucidity. 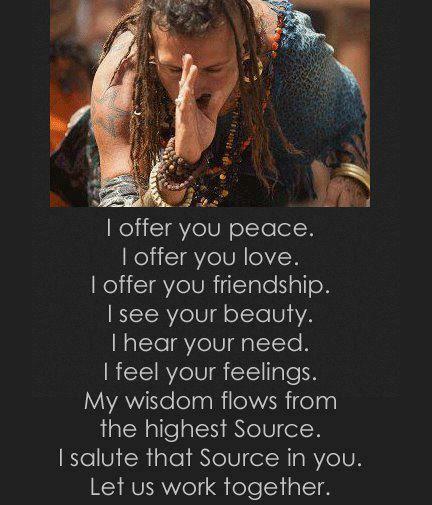 You’re involved with Jamaica and Tribal Convergence, Awaken.…. Jonah – Dharmically speaking, I am dedicated to creating space for people to engage in their own personal transformation, and in doing so, that creates the space for our collective transformation. Right now, Lucidity is the vessel to fulfill that mission and I know that there will be other vessels in the future, but I have no idea what those vessels will be yet. We’ve done some light brainstorming about other projects. We’re looking at how, what we’re doing in the festival world is training for a much larger movement around re-inhabiting the village. We’re talking about transforming multiple different properties around the world into self reliant sustainable systems that are connected to each other, networked to each other. They won’t be totally off grid islands of self reliant culture but rather interdependent and inter-related nodes in a much larger network. They’ll still be hooked in to the main grid, using the technology that we have and the internet, bringing forth alternative energy and cultural design; creating networks of communities that are less dependent on the global food system, less dependent on the national education system. I’m interested in living in a community that is co-created and self reliant – I know that conversation is happening all over the place. Doing the work to actually network them and make sure that everybody can experience abundance through shared resources, shared skills. We don’t each have to reinvent the wheel; we’ve got the technology to be able to share templates and skills and protocols, agreement fields, councilship models and systems of self governance. In all of these things we can find what works. I’d really like to take things to the next level.